Click here for the latest revised concepts presented by Taylor Siefker Williams Design Group September 2018. 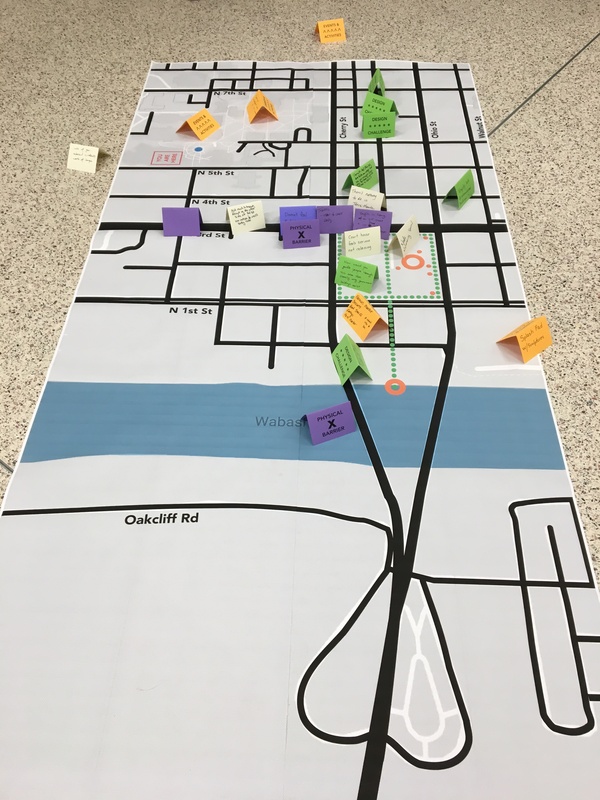 Turn to the River is a comprehensive multi-year project to reconnect downtown Terre Haute with the Wabash River through public art and design. 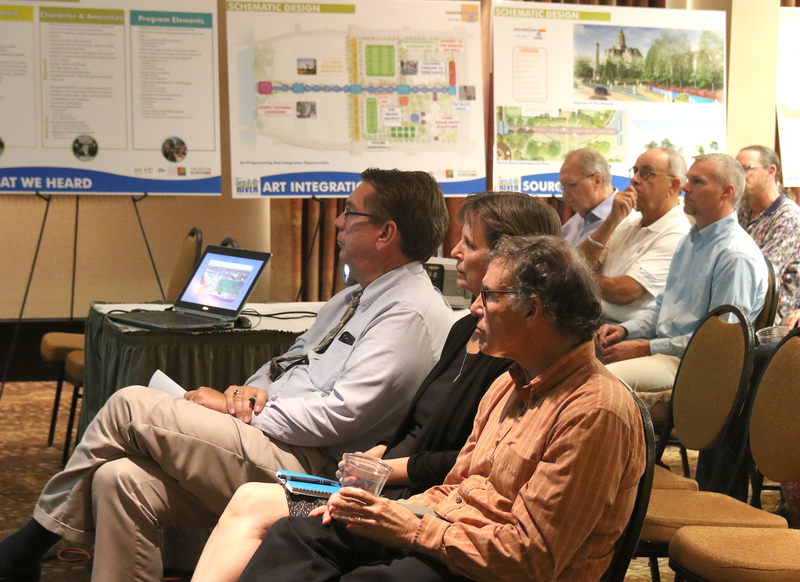 The arts are at the core of this exciting placemaking initiative and professional artists and stakeholders have worked with Art Spaces to host community charrettes and symposia to develop the concepts. 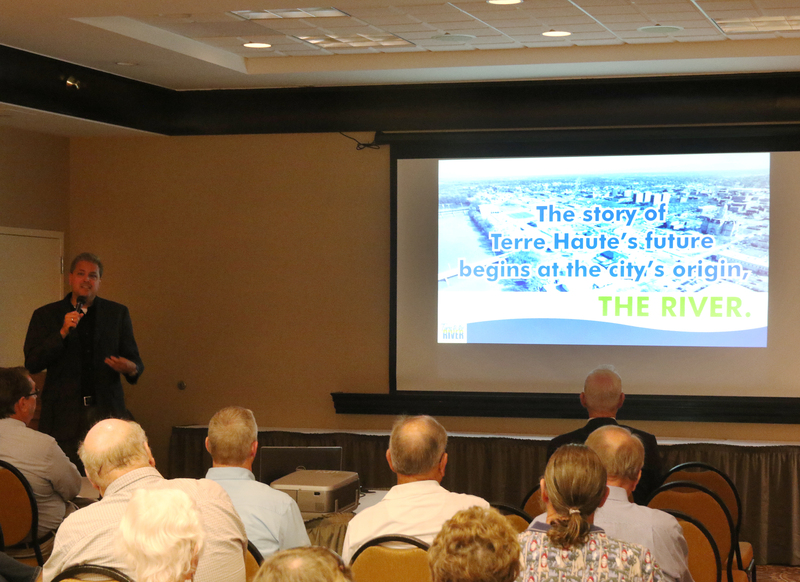 The focus area of Turn to the River includes the 4-square block government campus that encompasses Terre Haute City Hall and Vigo County Courthouse. 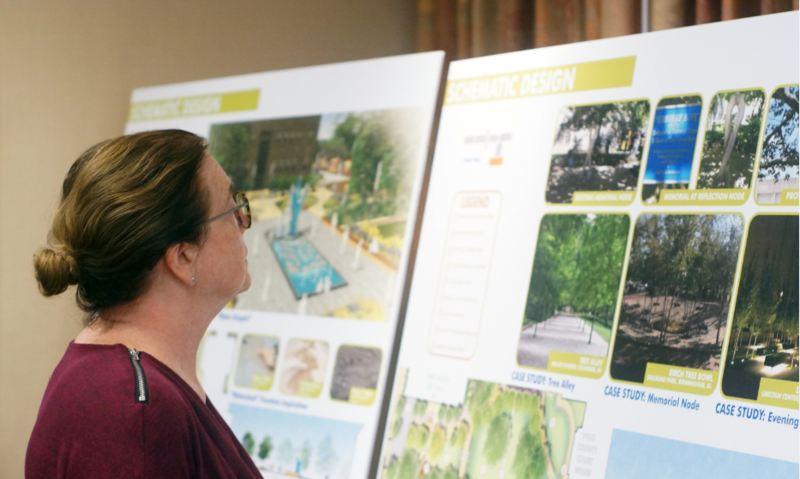 A designed walking promenade will lead people through this area and the city’s parking lot to the river, where a city-owned property, “One Wabash,” will be redesigned as a public green space with an overlook. 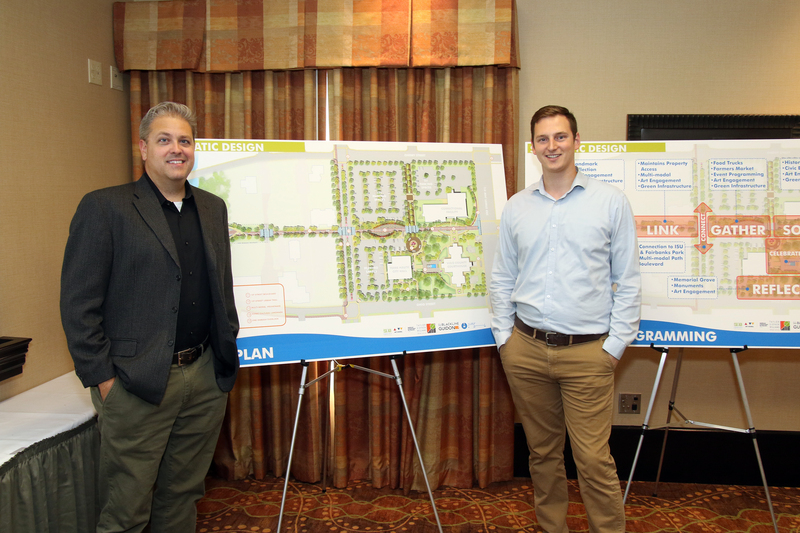 The City Parking Lot is envisioned as a designed, safe, green space, making it feasible for public weekend events such as Farmer’s Market, Arts Festivals and other community happenings. Taylor Siefker Williams Design Group of Indianapolis recently completed design development for the area that forms the central civic plaza. 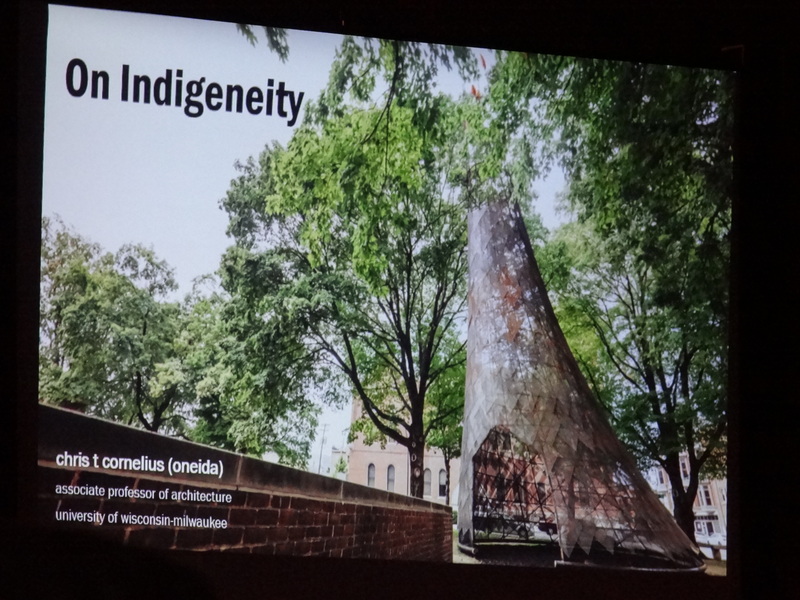 Art Spaces will soon begin the search for an artist/artist team to design the central sculpture/fountain and plans to begin implementation of that area later in 2019 or in early 2020. 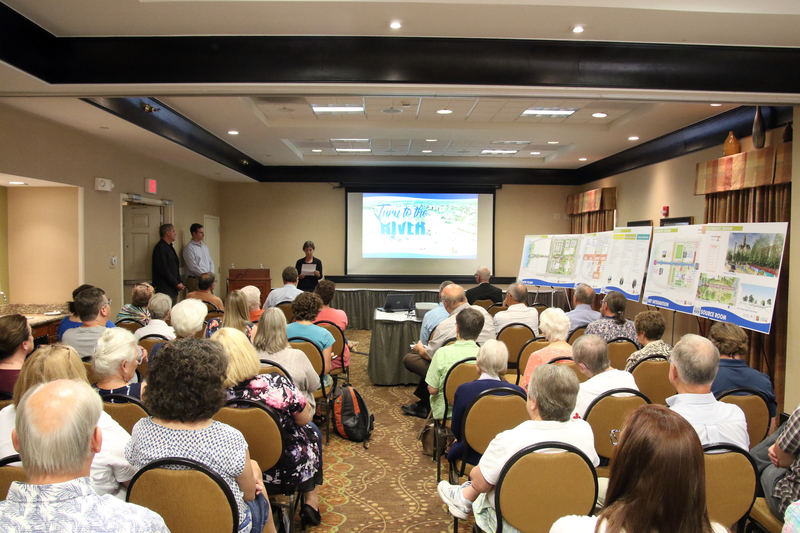 Turn to the River Design Development has been funded in part by the National Endowment for the Arts. Matching funds are provided by the Indiana Economic Development Corporation through the Wabash River Regional Development Authority. To find out more about how National Endowment for the Arts grants impact individuals and communities visit www.arts.gov. 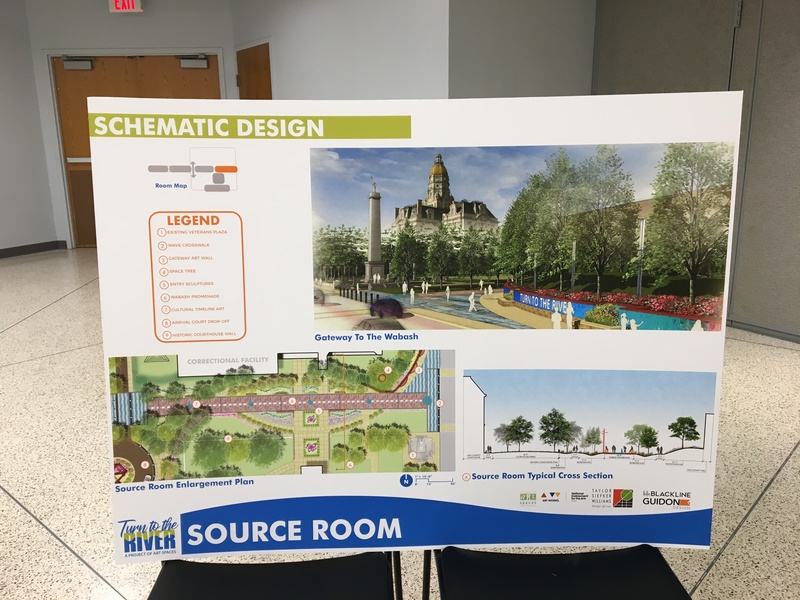 The City of Terre Haute is the primary governmental partner on the project and Art Spaces also works closely with Vigo County officials to ensure that the designs complement the existing architecture and serve the needs of city and county operations on the site. Partnerships are essential to the success of the project. Anyone seeking more information or involvement is encouraged to complete the form below or contact Art Spaces at 812-235-2801 or info@wabashvalleyartspaces.com. You may access the 2012-2014 Turn to the River Plan here. Click here to view the 2015 Concept Booklet. 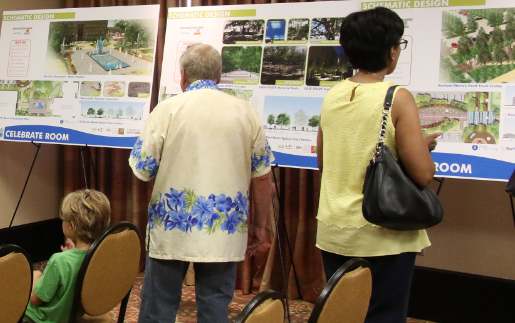 Click here to view additional concepts for the “Civic Plaza” area.